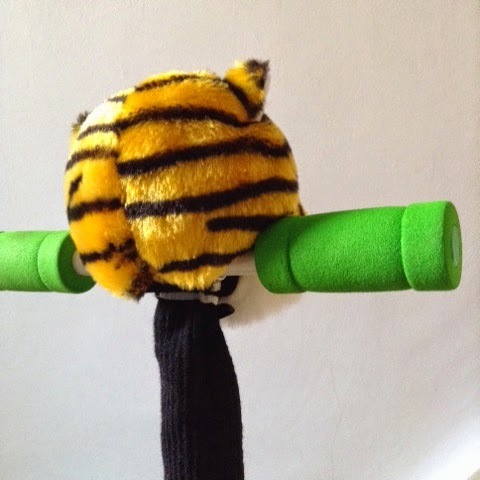 I found this novelty golf club cover in T's toy box when I did a 30 min purge on it. The Hubs won it at some gold tournament but would never use it for the original purpose. 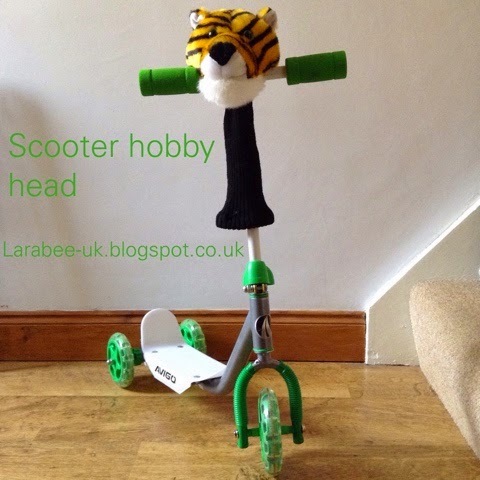 I've seen scooters with 'hobby heads' on them and so I decided to re-purpose this golf club cover and it worked an absolute treat! First I cut small holes either side of the head right at the top and slipped it over the top of the scooters handlebars. I attached a cable tie to keep the tiger nice and straight. 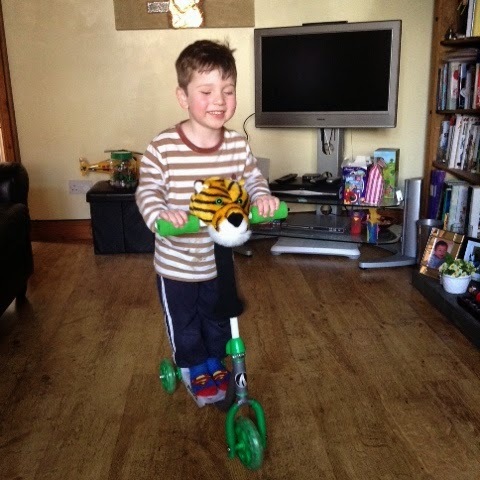 As you can see, one very happy little boy with his tiger hobby head, this was really simple, and saved throwing out something which otherwise wouldn't be used.